The wonderful Mermaids of Palm Beach are getting ready to commence their 2018 Bash for Variety the Children's Charity - and share a sneak peak of the wonderful costumes Elyse Cole has made as the 2018 Mermaid outfit. The Mermaids have been busy the past few weeks, hosting their annual dinner at Palm Beach on Monday July 30th, attending a support BBQ organised and hosted by Jason Falinski MP for Mackellar on the Sunday prior to that, and raising more funds at the annual Champions of Mackellar, also hosted by Mr. Falisnki. This year’s total for variety, the Children’s charity stands at 34 thousand dollars with 11 thousand of that raised at the dinner alone. There were lots of auction items this year, including this board given by long term supporter Barry Kirkham. It was won by Michael Codmac who also took home this year’s bottle of Grange. 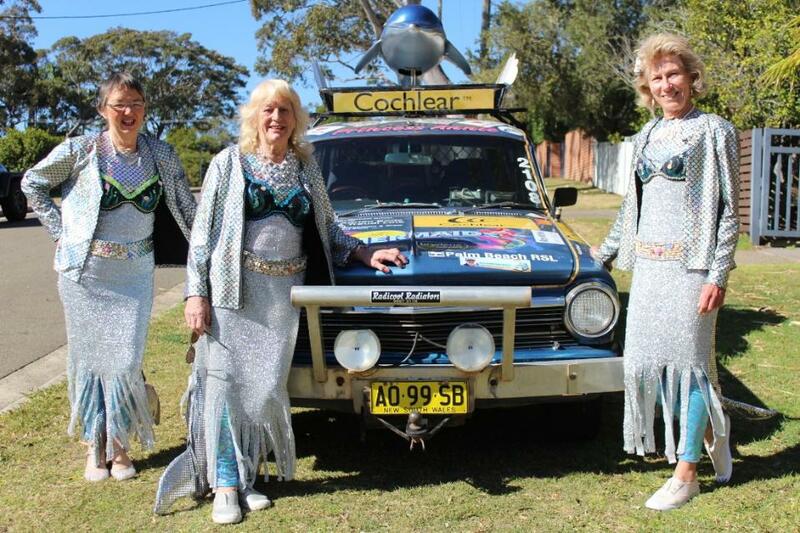 Mr. Codmac is also a long-term fan of the Mermaids, having been a sponsor and supporter for 20 years – which is as long as Beryl has been doing the Australian B to B Bash. Will this be Beryl's last Bash? No, it certainly will not. Although Beryl Driver OAM is looking forward to completing the 2018 Bonnyrigg to Braitling (near Uluru) Bash, 21 is a very nice number! This year’s Bash will also be the swan song for Elyse Cole as a Palm Beach Mermaid. Elyse will continue to help fundraise but is mindful that she also has places to see and things to do. 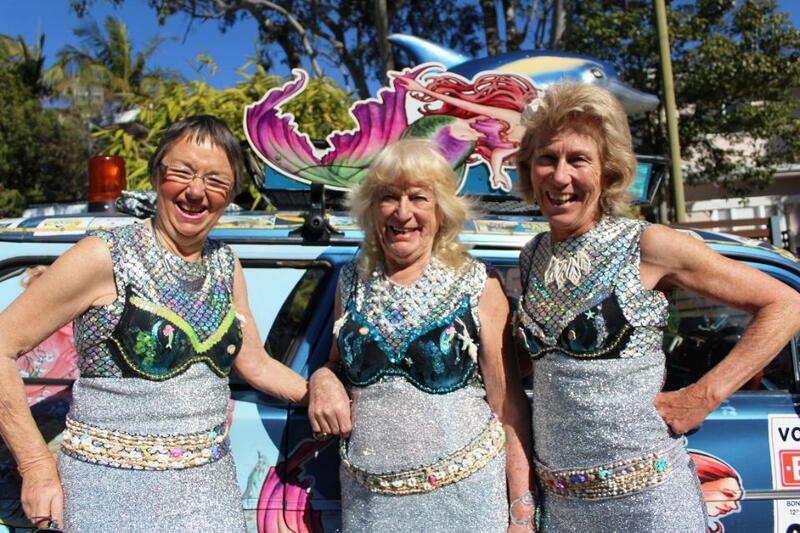 The Mermaids commenced their fundraiser efforts months ago and each event they host each year, from Currawong Day through to the Annual Dinner, along with numerous other ‘on site and in broad daylight’ appearances, are a huge commitment. This underlines just how big the Mermaid's passion is for the children this charity is focused on. 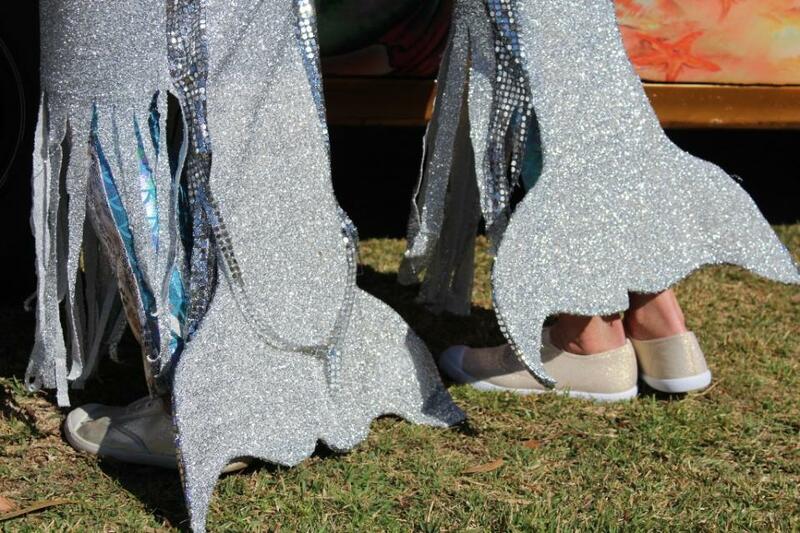 We asked the Mermaids what they’re looking forward to this year. Hoping to bring a smile to a farmer’s face was a sentiment echoed by Viktorija McDonell and Elyse. And what about all that may be seen along the way? “Ayers Rock, Uluru!” says Beryl, a sentiment Elyse agreed with. “Uluru as a destination is it for anyone in Australia.” said Elyse, “But we’ll also be having fun by meeting some wonderful people and doing great things along the roads. Mermaids transforming into rock stars? Yes! Beryl will be going as Suzi Quatro, Elyse will be going as Pink, while Viktorija is edging towards Leonard Cohen. Yes, a little preview of some parts of these outfits was shared – but that should be left for their ‘Pictures From the Road 2018’ album! How do they fit all these costumes and all they take with them for the children (toys, sweets, a few other treats) in Car 2108? Hmmm… may have to watch them pack. “The Bash itself, getting out there with the other two Mermaids. I’m looking forward to the kids of course, and the drive. “This Bash we’re going to real Classic Outback places; Broken Hill, Coober Pedy. I’m looking forward to our last Bash with the three of us together. That and lots of dust – red dust. We’ve been told there’s no real roads, only dust. The ladies depart next Sunday, August 12th. I wonder how many they will startle along the way? A Mermaid on dry land and covered in red dust will be a sight for sore eyes; especially since they’ll be shining like mini-Barrenjoey lightships in these outfits. Good luck girls – all here hope you do bring a giggle or a smile to all children, farmer's wives and farmers you meet along the way and have a few Priscilla moments! A 10 day adventure, travelling through two States and a Territory before arriving at Braitling, some 4,400 kilometres later. report and Mermaids of Palm Beach 2018 costume photos by A J Guesdon.